This is Patagonia’s version of a three-way. Built for the commute, our always adaptable Tres Pack functions as a shoulder bag, briefcase or backpack so you can carry everything you need for a productive day and then some. It has a zip-closing main compartment with plenty of room for notebooks, stacks of papers and a change of clothes for your after-work gym session. 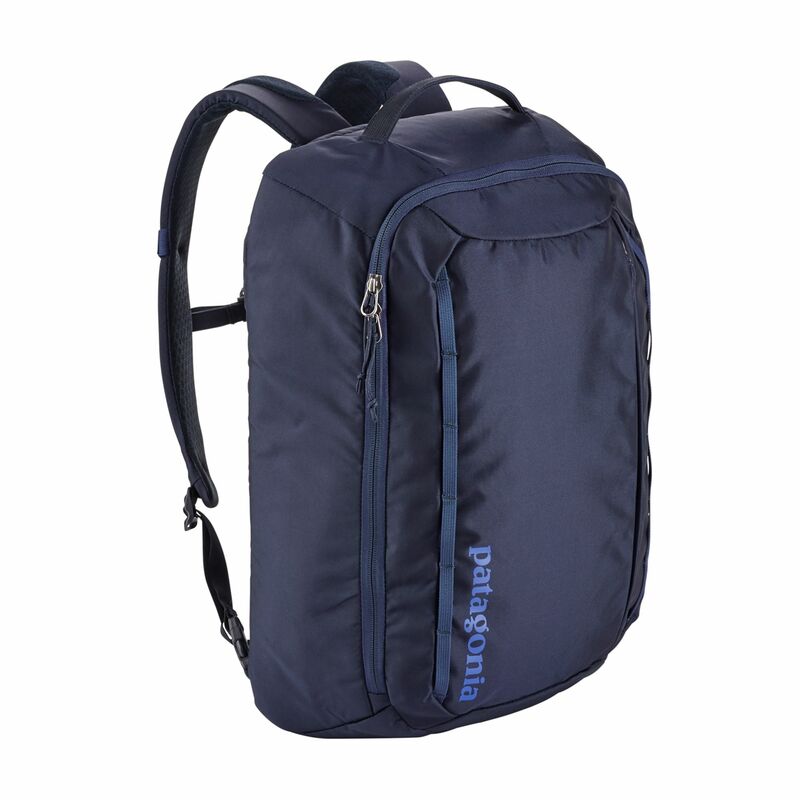 The main pocket also has a padded laptop sleeve to protect your 15" and smaller laptop, a zip security pocket, a mesh pocket with key fob, and a soft sleeve for your phone or other electronic device. A roomy outside pocket holds all the small, easily lost items of daily life, like chargers and charging cords, keys, sunglasses and your titanium spork for lunch. Highly breathable mesh lines the shoulder harness and back panel to wick moisture, dry quickly and increase ventilation. Shoulder straps, equipped with a sternum strap, quickly zip away when you want to use the Tres as a shoulder bag or briefcase. A reinforced grab handle makes hand carrying comfortable and secure. Two exterior daisy chains let you lash on a yoga mat or bike lock. Made from 630-denier 100% nylon (50% recycled/50% high-tenacity) plain weave with a polyurethane coating and a DWR (durable water repellent) finish. The lining is 200-denier 100% recycled polyester. Body: 7.4-oz 630-denier 100% nylon (50% recycled/50% high-tenacity) plain weave with a polyurethane coating and a DWR (durable water repellent) finish.